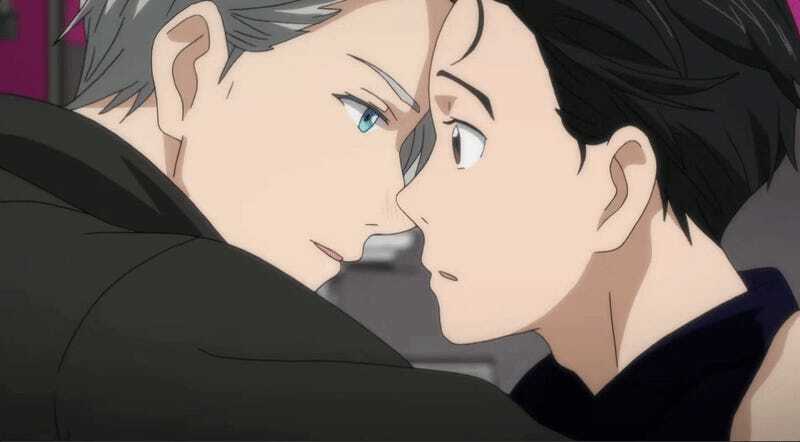 What Did You Think Of The Yuri On Ice Finale? Queer ice skating anime Yuri!!! on Ice closed out its first season yesterday with enough fanfare to crash streaming site Crunchyroll. Twelve episodes of triple axels, dashing costumes and raw male-on-male emotions made this cloying sports show a sensation. Some questions were answered, and more were asked—did the anime bait viewers with promises of explicit romance? Or was it really all about the journey toward skating mastery? (Spoiler: no). What did you think of the finale? It wasn’t the sexual explosion some fans were waiting for. 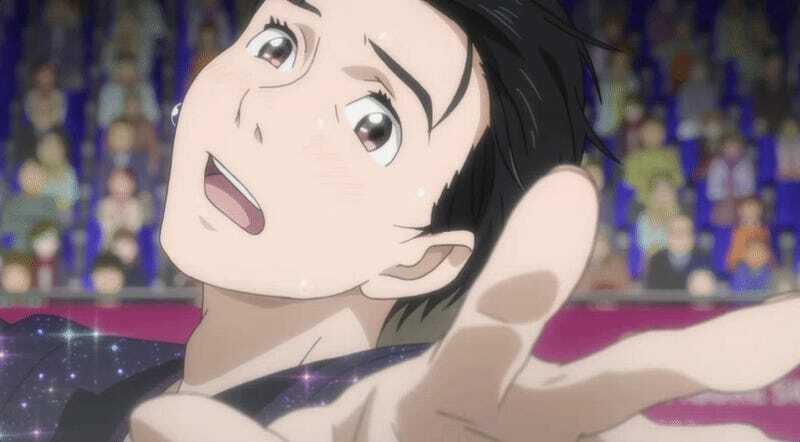 For months, viewers were taken on a roller coaster of sexual tension, from episode one when Russian skating legend Victor Nikiforov flaunts his naked body in a hot spring to episode 10 when Nikiforov and his Japanese protege Yuri Katsuki got “engaged” with gold rings and teary-eyed blushing. Twelve episode of tortured yearning, many hoped, could have culminated in something more tangible by yesterday’s finale. But who could expect that? It’s not that Japanese television would have shied away—the outstanding sci-fi anime Shin Sekai Yori features a male kiss with tongue. In all likelihood, it’s not a matter of censorship. Probably, it’s a way to keep the story going. After the Grand Prix final, Yuri had promised to retire and release Victor from coaching him. But Yuri decided to continue skating. Victor, thrilled, would keep coaching him. Using queer romantic fulfillment as a narrative device is an interesting move, keeping the will-they-or-won’t-they fire stoked. But maybe it’s good that the couple didn’t walk off into the sunset. What did you think about the finale? Was it rushed, or did it cover all the bases? How was Yuri’s performance and what do you think is in store for his skating competitor, Yuri Plisetsky? Tell us in the comments.